Making Italian beef at home is very easy to do; however, you want to make sure that you are well-prepared before venturing into any new recipe. As such, before you go shopping for supplies, check to see that you have the following items at your disposal: 1. A sharp, good quality chef’s knife (or, for the more serious home chef, a deli slicer). 2. A cutting board with enough space to cut a good-sized (5-7 pound) roast. 3. A slow cooker or roasting pan that can fit a full roast. 4. Time. Yes, time. The best Italian beef comes with slow, steady cooking, which allows the spices to blend and the fat of the meat to render, making for a more tender and delicious sandwich. You may notice that some of the recipes included here involve long cooking times, some as long as 10 hours! However, if you plan ahead, you will find that making Italian beef at home is fun and definitely rewarding. Even though a recipe may call for a particular type of roast, you will find that they are pretty much interchangeable when it comes to this type of cooking process. 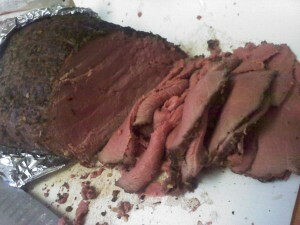 Always use a boneless roast; this will make even cooking and slicing much easier. 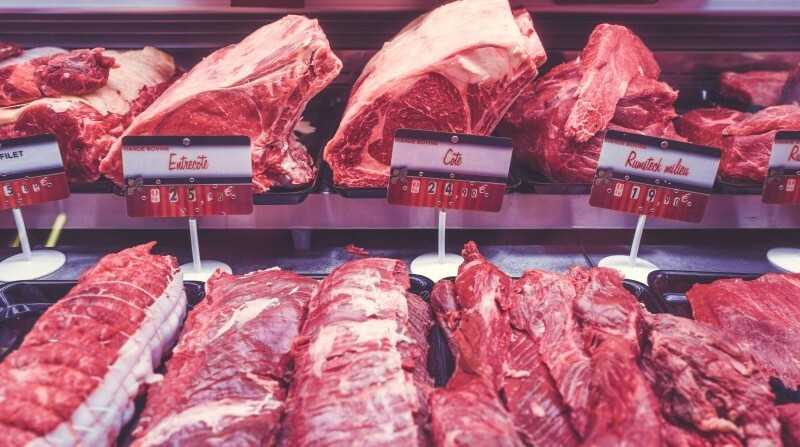 Finally, just remember that these recipes were developed to take advantage of tough, cheap cuts of meat; don’t use a prime porterhouse for your Italian beef sandwiches, or you’ll find the process gets pretty expensive! Okay, so you’ve got a big pile of wet, cooked meat. If you want, you can grab a fork and just start eating right out of the pot. (Don’t think I haven’t done that from time to time.) However, if you’re serving guests, they might not enjoy being huddled around a steaming pot of meat juice, stabbing at slices with their forks. So you should probably get some bread. Italian beef sandwiches are made in Italian-style rolls. Shocking, eh? 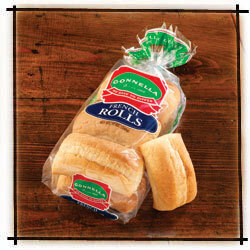 You can purchase these style of sandwich rolls at any grocery store. They are about 6-8 inches long, and tend to be a bit softer in texture, rather than hard and crackly. 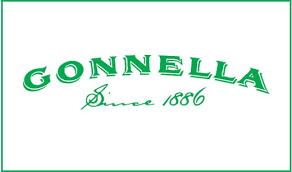 Most of your Chicago-area beef stands and restaurants will probably use rolls made by Gonnella or Turano, probably the two largest bakeries distributing bread in Chicago. Also, while there is some minor debate over the difference between a French roll? and an Italian roll? most sources seem to agree that the two terms are now interchangeable. See our section on Giardiniera for a fuller description and history of this important condiment. 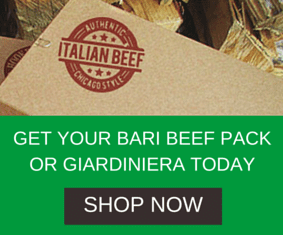 Now that you know what it takes to make a perfect Italian Beef Sandwich, take a look at our Italian Beef and Giardiniera recipes and get started on making these Chicago treats at home.